At January's Consumer Electronics Show in Las Vegas, Apple introduced the iPhone to great fanfare. A combination mobile phone, MP3 player and Internet device, the announcement caught the attention of consumers, businesses and … trademark lawyers. As it turns out, Apple doesn't own the rights to the word iPhone. Cisco Systems does, at least in the United States. It obtained the trademark in 2000 when it acquired Infogear, the company that originally registered the mark in 1996. To make matters more complicated, in Canada a company called Comwave Telecom has registered the iPhone trademark for use with its voice-over-internet-protocol (Internet telephone) services. Apparently Apple knew of Cisco's trademark, which raises questions about why it chose to proceed with the name. In December, Research in Motion, the Waterloo maker of the BlackBerry, sued Samsung for trademark infringement over a smart phone (called the BlackJack) recently introduced in the United States through Cingular Wireless. The lawsuit alleges Samsung's use of the name in connection with a smart phone amounts to "unfair competition and trademark dilution." While the news media tend to focus on high profile cases involving large companies, there are lessons here for small businesses as well. Before introducing new products to the market, all organizations should consider trademark implications. Michael Bean, a trademark lawyer in the Kitchener office of Gowling Lafleur Henderson, says trademarks are important business assets. They help to identify your company, distinguishing it from competitors. Your company name, product or service name, logo, slogan or tagline are all your trademarks and can be protected by registration. As long lasting symbols of your company, trademarks safeguard the goodwill in your business. Legal steps can be taken to ensure that your proposed trademarks are available for use and that you can stop others from infringing on them. The first step, Bean says, is to conduct an availability search to ensure that the trademark is available for each country in which you intend to use it. It's fairly easy to conduct a preliminary search of the Internet or trademark databases to identify potential conflicts. But a comprehensive search by a trademark lawyer is also advised. This entails checking each country's trademark databases and looking for similar product, business and domain names that could block the adoption of your trademark. Determining if the rights of the owner of a trademark, business or domain name would be infringed by the one you propose depends on whether consumers would be confused if they saw both being used simultaneously, Bean says. He notes that trademark rules take into consideration "the visual and/or phonetic similarity" as well as similarity between the goods, services or channels of trade and customers connected to the businesses. After searches have been completed, clearing the way for you to adopt your mark, you still need to register it in the countries in which you intend to use it. Do this quickly, Bean says, because some countries give entitlement to the first to apply to register a trademark, versus the first to use it. Canadian businesses should always register in Canada first. That's because it gives you the right to file a corresponding application in most other countries within six months assuming all requirements are met. Once registered, your trademark gives you the exclusive right to use it within the country - and the right to act against those who infringe on its use. Bean says it usually takes 10 to 14 months to register a trademark. Assuming there are no significant objections, the cost can vary between $2,000 and $2,500 in Canada, including legal and government filing fees. While this might seem like a lot of money, especially for a small business, it's a good defensive measure. 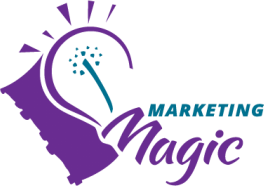 Imagine the cost to withdraw a product or service from the market and redo all your marketing materials. Trademark cases can result in less than favourable rulings and, if there are ambiguities, can be long and drawn out. Earlier this month, a U.S. judge dismissed Research in Motion's suit against Samsung. While Samsung agreed to withdraw its trademark application for the Blackjack name, the courts gave Cingular the right to use it. Let's hope the iPhone lawsuit doesn't drag on as long as the trademark dispute between Apple Inc. and Apple Corps, the Beatles' music company. After arguing since the 1980s, the two recently came to an agreement that gives Apple ownership of all the Apple logo trademarks, although it will license some back to Apple Corps.